If you have a senior pet or one with chronic conditions, we may recommend annual blood testing to check for underlying medical concerns. When we check your pet’s blood counts, oxygen levels, and chemistry, we’re able to diagnose conditions like diabetes. Sometimes skin allergies turn into infections, and we can determine how to best treat and clear up your pet’s skin through cytology, or cell analysis. Infections can be bacterial or fungal, and cytology is needed to discover the root cause. 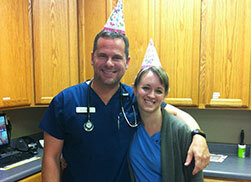 We strive to offer our patients and their people the best in veterinary medicine. At Affordable Pet Care, we’re proud to say our diagnostic equipment and tools help accomplish this. For more information about pet diagnostics, please contact us.